Business hotels aren't designed to inspire passion. They’re efficient and bland. They mean to please without offending. Their restaurants are equally uninspiring, with menus full of chicken caesar salads and farmed salmon filets. The hospitality punches in at the time clock inside the basement service entrance. But, boy, do they turn rooms. You know where I’m going with this. To me, today’s Christian Dior J’Adore gives the same feeling as a middle-tier business hotel. It does a perfume’s job of smelling pretty and clean, but comes off as oddly soulless. Yet, it sells like gangbusters. Perfumer Calice Becker created J’Adore, and it launched in 1999. Dior lists its notes simply as ylang ylang, damask rose and jasmine sambac. Beyond these notes, I pick out peach, orange blossom, musk, amber and pale wood. J’Adore Eau de Parfum goes on sharp and clean with watery orange blossom and what smells to me like a sweet, chemical take on lily of the valley. Vague rose, bolstered by dry peach, steps right up, but this is no voluptuous and juicy Lancome Trésor. Instead, the rose-peach combo is scratchy and thin, and the ylang ylang and jasmine are indistinct. Riding under all this is a sharp woody musk that can show up in fragrances as a sad substitute for oak moss. A clean musk, more like a detergent than a soap, plays a starring role, too. As the fragrance wears down, a hint of amber and vanilla round out J’Adore’s clean feel. At this point, it smells an awful lot like shampoo. Whether this was by design, or because shampoo manufacturers jumped on J’Adore, I don’t know. 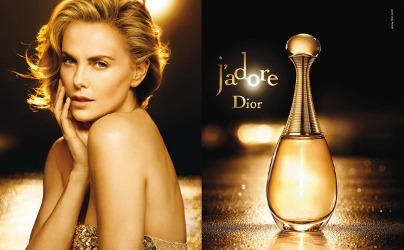 They say J’Adore used to be a radiant, beautiful perfume. (See Bois de Jasmin’s thoughtful review.) J’Adore glowed. It was lush without being heavy, floral without being dowdy, and full of chiffon-like depth and light. The old J’Adore somehow made a classic form — the floral — feel modern and approachable without being intrusive. Its success spawned a whole generation of fragrances. Now it’s become a cheapened copy of itself. Like a chain hotel, J'Adore best serves people who want a need met without having to pay a lot of attention. You can have your airport Westins and Marriotts. Me, I’ll take the old place downtown with the crazy concierge and lobby full of mismatched lamps, threadbare Persian rugs, and the resident tabby cat batting at a vase of garden roses and delphiniums. I hear the bar serves an excellent Sazerac. Let’s call it Hotel Vintage Miss Dior. Christian Dior J’Adore Eau de Parfum is $74 for 30 ml, $94 for 50 ml, $124 for 100 ml, and $155 for 150 ml. J’Adore also comes in a multitude of other forms, including Extrait, Absolue, Touche de Parfum, L’Or, Voile de Parfum and Eau de Toilette. RIP old favorite. Thanks for facing this one for us, Angela. I am sorry but not surprised to hear this is what you found. I need to get my hands on some of the old stuff, I think. When J’Adore first launched, I was starting a new job, taking college classes here and there and really starting to make my way in the world. It was rich but bright, well blended and not screetchy and luminous would be the perfect way to describe it. It was in my top five signature scents back then, and the pool to draw from in regard to that category was much, much smaller. I don’t know what’s happened to it since then, but would assume much like most other frags, reformulations have not been kind. The absolue smells very close to what I remember and I am glad I have a generous decant of it because wearing it takes me back to those relatively carefree days. Functional can have its place in my wardrobe when I want to smell nice without thinking too hard about it, and J’Adore l’Absolue fits that category quite well. Pretty can work in situations where people may not appreciate my perfumes that have fangs, and J’Adore really worked well for that back in the day. I could wear it to work or a more formal dinner out and it did just fine in either situation, which is always nice. It’s sad but I haven’t loved a new Dior release in years. It doesn’t help I’m still cranky about the whole Miss Dior Cherie thing, either, but I think Midnight Poison was the last Dior I was moved enough to buy. It’s nice, at least, to have the memories. I haven’t tried many of the Dior couture fragrances, but mainstream Dior is pumping them out like baby rabbits. I, too, am grouchy about the Miss Dior Cherie business. I never smelled J’Adore back in the day but from descriptions, have always imagined that L’Absolue is the closest you can get to it today – it seems from what you say that I was right. I’ve toyed with the idea of purchasing, but it’s actually annoyingly expensive, I think, for a fragrance that would only ever be one of those ‘rather nice’, easy-wearing fragrances. I have Eau Premiere for that, a much better piece of work. Don’t talk to me about Miss Dior Cherie. Yes. Eau Premiere does the job very well. Fragrances can be respectfully tweaked, but this one fell apart somewhere along the line! It’s been so long since I’ve smelled Le Feu! I miss it. And I’m glad to hear Helmut Lang came through okay. I understand on the price tag! It always amazes how J’Adore just sells . I met a lady in Macy’s who said this was her favorite. When she went to Paris, she bought J’Adore. Well, I know we are perfume freaks but really, all the way to Paris to buy J’Adore !! The J’Adore I have bought OUTSIDE of the USA , smells better than what we get here. The sharp chemically musk is not quite as bad and the perfume is more floral and softer. I love your analogy to business hotels. So apt ! I’ll take Hotel Costes, too! And their perfume! I agree about your description of J’adore of today but I love touche de parfum. I also love to mix it with some sandalwood scents and it is to die for. I smelled the touche de parfum last summer, and I really liked it, too! It didn’t have a lot to do with J’Adore, though. J’Adore L’Absolu is my absolute favorite mass market frag. Some of the other flankers (Touche de Parfum, L’Or) are rather nice as well. I have a bottle of the original parfum… yes, it’s lovely, but I’m quite happy to wear my L’Absolu as well. It sounds like I really should try some Absolu. Why are the Dior reformulations always so bad? What the heck is going on at Dior!!! I might have a little bit of an answer for that! At some point, LVMH decided to take its perfume production in house and save money. That means that they stopped working with outside perfume companies that might have had proprietary materials–materials that cost more but might have made all the difference. Therefore–to pull an example out of thin air–Dior didn’t depend on a small company outside Grasse to make the concentrate for, say, Diorella. Instead, they approximated the “secret” ingredients the smaller firm might have used in Diorella and saved money. In some cases, the perfume just isn’t the same. I’m sure there are other reasons, too, and it varies by fragrance. I have heard that this was the precise reason Miss Dior Cherie was brought in-house and re-formulated. I never liked it but I respect the opinions of those who loved the original. Why bother producing great fragrances when less-than-great fragrances still sell by the bucket load? Depressing. I know! It just goes to show the power of marketing, I guess. So far, Chanel has stayed in family hands! Thanks for explaining that. It makes a lot of sense and I can easily see why major companies would so – but by the same token – I can also see why it pisses off so many people when their beloved stand-bys are changed. I travel a bit for work and several years ago made the decision to drop the business hotels. Since then I’ve had various adventures staying in inner city pubs and B&Bs. I’ve climbed up to high windows with towels to try and block out the city lights at night; coped with dodgy wi-fi; jack-hammers outside my room at midnight; over decorated chintzy rooms with over-stuffed armchairs, framed prints of kittens, and telephones with flowers painted on them … Once at a B&B I had the house to myself and graciously opened the front door to the guy delivering curry for my dinner. I’d read (I think, in the Turin / Sanchez book) that the reason for the difference is that Dior now makes part of the perfume in-house, as opposed to getting the entire formula from whichever big supplier made the original. Maybe they should have left well enough alone, eh? I read that, too. Sadly, as long as it sells well, they probably don’t have much incentive to return to the old arrangement. I wish I had tried J’Adore in its prime. As it is, I’ve only tried the Absolu, which was still too shampoo-ish for my taste, and Voile de Parfum, which adds iris and was kind of nice, even if it didn’t move me to buy it. I think the formula budget must have gone to the lavish commercials. They have used some good music in the ads, though. When I saw (I think) the most recent one, I wondered what the song was, and I ended up finding it on Spotify totally by chance (it was “Hey Now” by London Grammar, if you’re curious). The marketing for J’Adore must cost a fortune! I guess it works, though. My memory of the original J’Adore is a bit hazy by now, but I recommend you try the new J’Adore Touche de Parfum they just launched… it’s a tiny 20ml vial of perfume-in-oil and it’s just amazing. It does recapture some of the glow J’Adore used to have. I tried the Touche de Parfum, and I did like it. I’ll have to try it again. Yep, Angela,”meh” pretty much sums up how I feel about J’Adore, and the shampoo-vibe of the whole thing just leaves me feeling bored. I’ve smelled dollar-store body sprays that are as good. I must be the only one who doesn’t remember it ever smelling any better? I can recall being similarly unimpressed when it first came out. And yet, this is a fragrance that inspires rabid devotion – I’ve known several women who use it as their signature scent, and a friend of mine claims that her husband won’t leave her alone when she wears it! So who knows – I always wonder though, when a certain scent leaves me cold (not disgusted or repulsed, just b-o-r-e-d) what others are picking up on that I’m not getting. J’Adore is perhaps the perfect example of that. What strikes me as utterly lifeless can send someone else into ecstasies…guess it just goes to show how much tastes vary, and how individual the sense of smell really is! I second guess myself a lot with fragrance, too, wondering why everyone is so wild about something that doesn’t move me at all. But one thing I’ve learned from writing here is that there’s usually someone out there who agrees with me! It sounds like you and I feel similarly about J’Adore. So much is too expensive! It really pays to sample carefully. I used to wear 1999 J’Adore at a high altitude, where a perfume must have some oomph to prevail in the thin, dry air. It was the scent of pure happiness. Unfortunately, I gave that bottle away when I moved a few years later, and you can imagine how I felt when I went to replace it in the U.S. and found the tester was merely in sort of a good mood rather than joyous. I’ve bought some partial bottles on ebay, including a parfum, hoping they would be older, but I’m not sure. J’Adore l’Absolu is good but just a bit stolid. I’d recommend taking LT’s advice and buying the rose-plum version of J’Adore, BK Liaisons Dangereuses, but I don’t know how it has held up to reformulation. I also think of Puredistance I as a sort of an elegant, wealthy European lady version. I’m glad commenters are reminding me to try the Touche de Parfum version. Now that’s something I hadn’t even thought of: the impact of altitude on fragrance! Someone should do a study. Thank you, too, for the recommendations of Liaisons Dangereuses and Puredistance as possible substitutes. That’s such a shame. I loved the original J’adore. I didn’t have a bottle of it, but whenever I had samples, I doused myself in it. I’d also go to the mall and spray myself with the testers. I didn’t have a lot of money then (college days) so buying fragrance just seemed a bit too much. When I got into perfume again, I always thought of J’adore and went to the Macy’s counter to find it and try it again. This was probably 4 years ago or so and even then it did not smell anything like the lush, rich scent I remembered. I didn’t buy a bottle, and I’m afraid to even go see if it’s been neutered more based on what you wrote. I know exactly how you feel! I used to think the most basic stuff was glamorous and expensive, so enchanted by the designer’s names, Armani, Ralph Lauren, Dior, YSL…then a few years later I finally tried some niche and higher end stuff I found from sites like NST… and now I’m “spoilt rotten” as my grandmother would say. I do think a lot colognes and perfumes did smell a better a decade ago that now smell like bug spray, but the illusion is also shattered. It is all just expensive branded bug spray! What’s really sad is when a favorite vanishes, like Femme! So sad. Oooh, yes, I couldn’t agree more…Vintage Miss Dior Extrait…it may sound hackneyed: they don’t make them like this anymore. This super clean stuff makes me itchy. It’s hackneyed for a reason–because it’s so true! They really don’t make stuff like Miss Dior extrait in all its vintage glory any more. I bought a bottle very soon after it launched, it was one of my first proper perfumes and I adored it. I liked the bottle, too, and I’ve always enjoyed the ads. Partly probably because they’ve used two Estonian models through the years and because I think Theron is the perfect match for this perfume (at least as it used to be). I’ve been too scared to try the current version. I might give Absolu a try, me and Pixel often agree. I have to say, I really do love the marketing for J’Adore. It comes across as so elegant but modern, and very golden. Oh DEAR! This SADDENS ME SO! My Mother STILL Has her Original Bottle that Me, My Sis and Dad bought for her for Mother’s Day 1999, Very Soon after it launched! I had smelled it in Vogue, a scent strip and LOVED It. went to buy it and spritzed and DOUBLE LOVED IT! if this is what it smells like now, the way you describe, I MUST send you a decant of the Original! Oh it is a HEAVENLY Plum laced Oriental Floral with Heavy, Opulent yet Surprisingly light Oriental tones and notes… It’s got AMAZING Longevity and a good OOMPH of Silage but nothing that’s going to Smother an elevator like Old-School Giorgio of Beverly Hills! This ushered in a Slew of smell-alikes of the Patchouli/Florientals that came afterwards… it’s even in a sense the spiritual Mother of Flowerbomb, just not as Fruity. OY VEY! If they have ruined this masterpiece I don’t know what to say… I have had nothing but good luck with all of the Dior Reformulations… but this sounds Terrible. Next time I visit Nordstrom, I’ll get a little empty spray Vial and send you a Decant of the original beauty in all her glory! As Always, Mon Angel… Spectacular Review! Wow–that’s a terrific review! You make the original J’Adore sound like it truly earned its name. I would really like to know how you compare the old and new versions. If you try them side by side, please let me know!